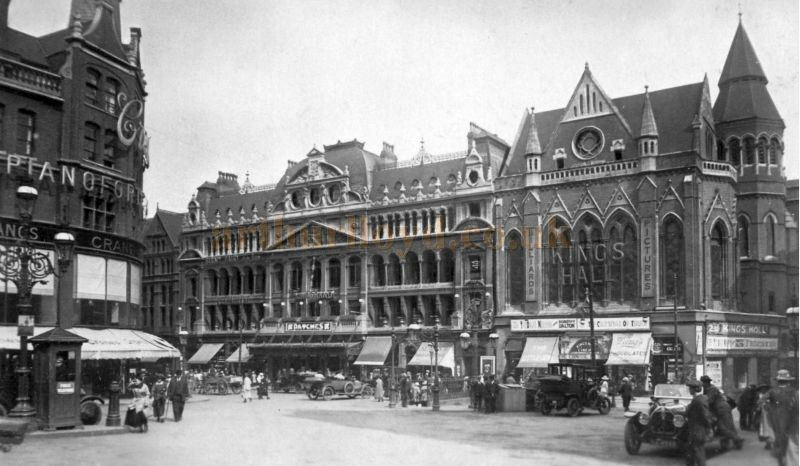 The King's Hall was situated next door to the earlier (1883) Grand Theatre, on Birmingham's Corporation Street and opened in September 1907 as a Variety and Music Hall with three performances daily. By 1911 the Hall had been converted for Cinema use and had ended its Variety days. The Cinema itself closed in 1932 and the Hall was later used as a Market and Bingo Hall. 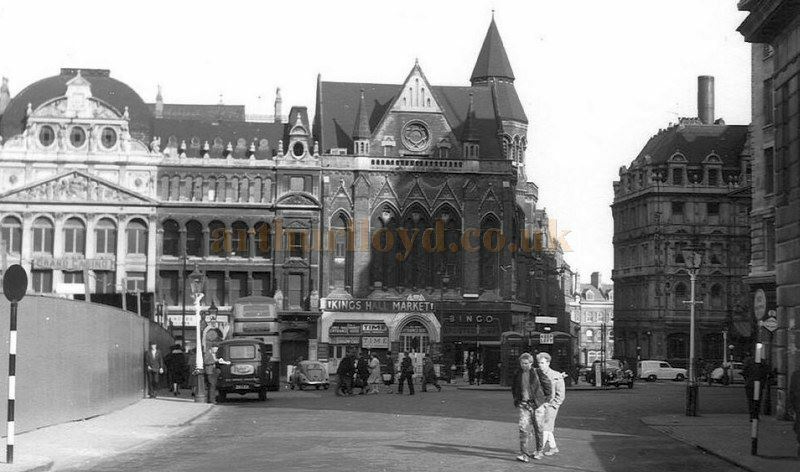 Above - A Photograph of the King's Hall, Birmingham whilst in use as a Market and Bingo Hall, and the Grand Theatre next door whilst it was in use as a Casino in the 1950s or 60s - Courtesy William Neale.